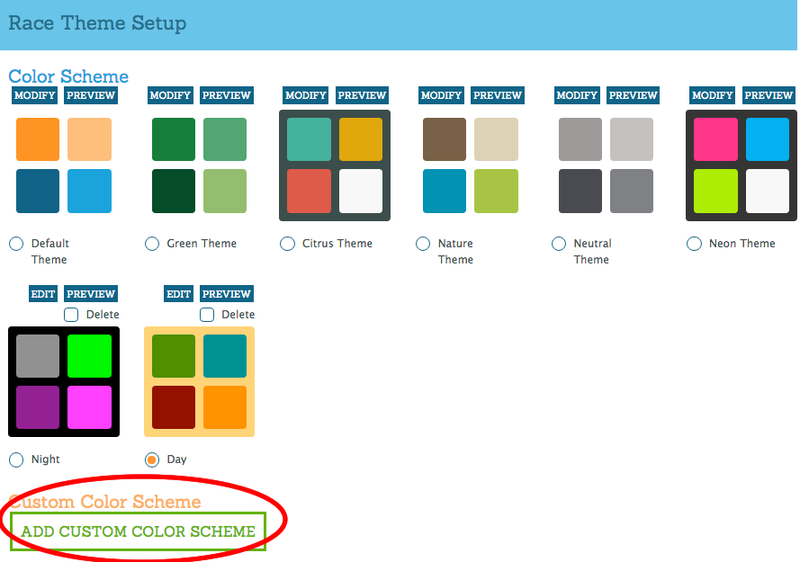 You can now customize your Race Website with custom colors in addition to the 6 standard themes we give you. But be careful you don’t wind up with wacky looks like the one on the right! 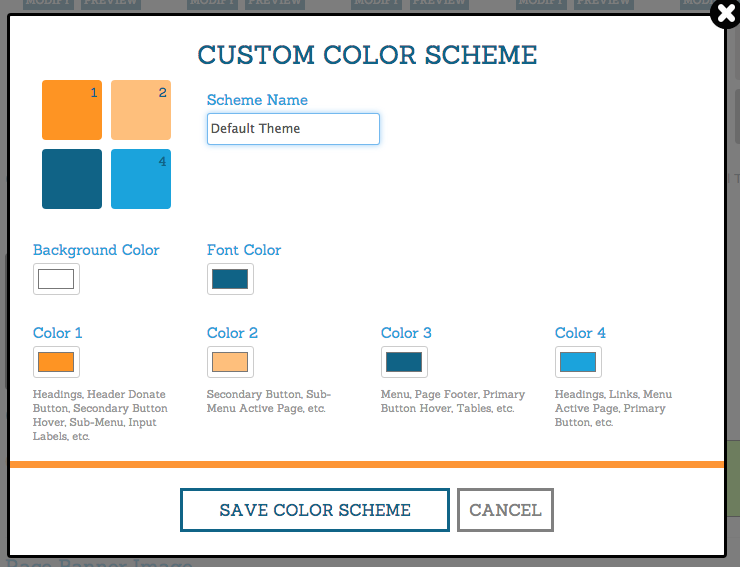 There are 6 colors to pick – Background color, Font Color and then 4 colors used in various elements on the page. To change any of them, simply click on the square. This will bring up the color editor of the computer you are on. These screen shots show a Mac – PC’s and phones will be much simpler (not as good – get a Mac!) in terms of what they have. 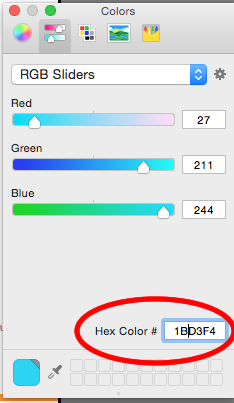 Simply edit each color, then save. 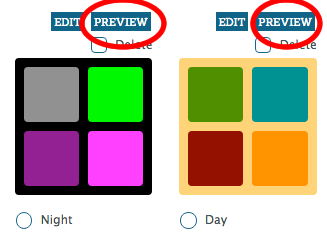 There is a nice Preview button by each color scheme to show you what your website will really look like without having to deploy it live (only you will see the changes). 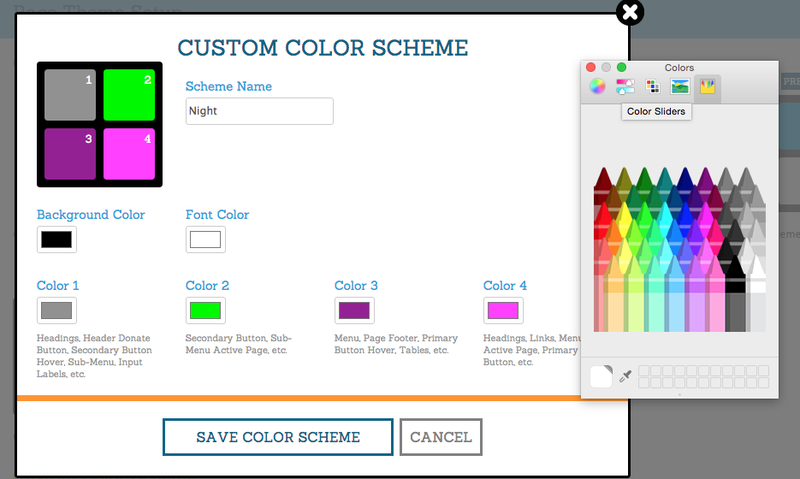 This allows you to keep editing until you love the way your website looks. Word of caution! Make sure your text shows up on your background. For example if you have a white background and pick yellow for header colors, then people will not be able to read the header.